For a long time I wanted to give some use to an old Raspberry Pi (Model B Revision 2.0 – 2011.12). Since I acquired my C6100 for home lab purpose, I was aware I couldn’t keep it powered on 24/7. From noise and consumption standpoint, it’s not the most friendly home lab you can buy. In the other hand, you have a bunch of resources to run your workloads for a reduced cost. With the noise and power consumption as concern, I knew on some manner I should remotely control the home lab to power it on/off in the event I required to work on it, or run a demo for a customer from its facilities. The following diagram depicts how to operate your Home Lab with a Raspberry Pi using different components and software. This use case will be covered in the second part of this post series. But as a brief introduction, the VPN service will be deployed using an Ansible role I’ve created, pipoe2h.pivpn (https://galaxy.ansible.com/pipoe2h/pivpn/). This role will install and configure OpenVPN in your Raspberry Pi. Maybe you are wondering the reason to not use pfSense, it’ has not support for ARM. This use case will be covered in the third part of this post series. But as a brief introduction, this use case doesn’t cover only the configuration of a dynamic DNS client. The idea is to run your own Dynamic DNS service if your web hosting runs CPanel. If you are one of those with CPanel, you will have the chance to create your own DynDNS service and keep alive the access to your home lab wherever you are. The DynDNS service will be deployed using an Ansible role I’ve created, pipoe2h.piddns (https://galaxy.ansible.com/pipoe2h/piddns/). This role will install and configure a PHP page in your website as entry point to dynamically configure your home lab DNS record. The DynDNS client is modified to support the integration with your own DynDNS service. The Raspberry Pi gives you the chance to be the only machine to be powered on and reduce the power consumption. You can use the Raspi as the jump box to operate your entire home lab. This use case will be covered in the fourth part of this post series. But as a brief introduction, since the enterprise PDUs with management interface to power your devices on/off are expensive, I found a cheaper way to get at least the control to power on/off of those. You can install to your Raspi a remote control board. Using remote controlled sockets you can achieve a close experience like the enterprise PDUs. 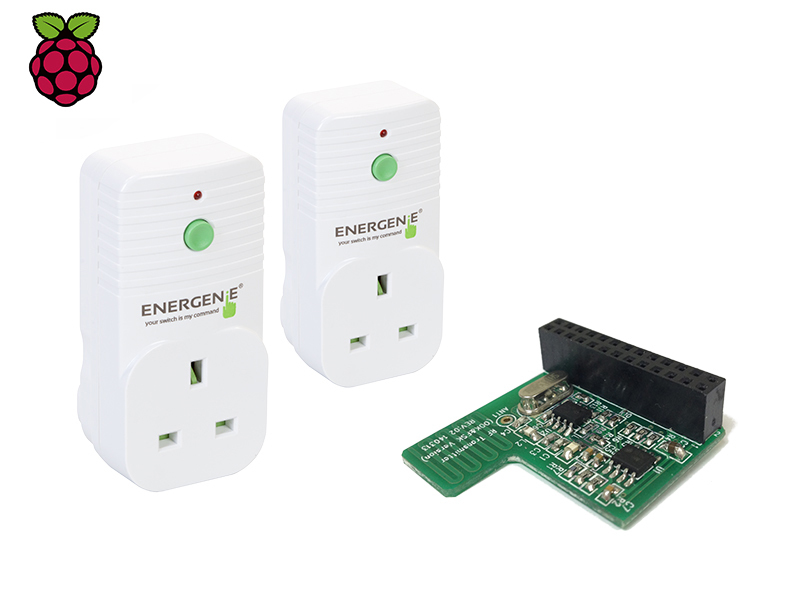 I bought the Energenie kit ENER002-2PI for £22. This use case will be covered in the fifth part of this post series. But as a brief introduction, once you have switched the socket on, you are able to use IPMI or WOL to power on your server(s). I’ll share with you the PowerCLI I’ve created to power on/off your ESXi hosts and the virtual machines within. My opinion of the Nutanix .NEXT 2016 Conference is coming a bit late but I did not have the chance to take a look until now about what Nutanix announced in the conference. Let’s to analyze that I consider the most exciting announced features that come the next months. You can see the full list of announcements at Nutanix .NEXT 2016 Announcements: Innovation is Just a Click Away. Nutanix goes step forward with its old message from its beginnings, #NoSAN. Many workloads still run in physical servers because their requirements around resources could jeopardize the performance of other virtual machines within the hyper-converged infrastructure. Those physical workloads require a SAN array, but until now Nutanix didn’t support out-of-the-box the block storage functionality. Even deploy a VSA software on top of Nutanix and expose iSCSI targets was not feasible, it could incur in a performance degradation for the virtual workloads running in the platform. Nowadays with flash storage price coming down and emerging technologies like NVMe more and more adopted by vendors, starts to make sense the leveraging of unused IOPS and available space of the hyper-converged infrastructure, and expose them to the physical workloads. For this, Nutanix has developed the feature called Acropolis Block Services (ABS). This capability is planned to be available in the 4.7 release. Based on the iSCSI protocol, customers can use it similarly to Amazon Elastic Block Store (EBS). I believe the customers will take a look to this feature when they require to replace their SAN arrays. In addition, the distributed storage architecture is a plus from reliability and performance standpoint. I love how easy is to scale a distributed storage solution and how quick customers get more storage and performance in minutes. But, this is not reason enough to replace a SAN array. Many of the SAN arrays are also NAS, that provides file services like NFS and CIFS/SMB. What does Nutanix have to say around this? Nutanix already announced in March 2016 the Acropolis File Services (AFS). With both features, the new Acropolis Block Services and the recent Acropolis File Services, Partners are now in the position to keep discussions with customers around if the replacement of their SAN array should be a new array again, or otherwise they can extend their current hyper-converged platform with the deployment of Nutanix storage nodes and use both features, ABS + AFS. In my opinion, Nutanix still has a step forward more to close the storage cycle. I miss the capability to provide object storage, it’s funny because the Nutanix Distributed File System (NDFS) is based on object storage, but they don’t provide this feature. Developers could use the Nutanix platform like they use Amazon S3. Also it’s true I don’t see many customers consuming object storage on premise. Like I mentioned above, the price of flash storage is coming down and this is an opportunity to include the technology across all platforms (we’re using all flash home labs, why not customers?). The only all flash appliance is the NX-9000, but the new all flash configurations for all platforms will be available this month. I have the doubt if the all flash option will also be available for Nutanix Xpress platform. Many customers are looking to build their own private cloud using Cloud Management Platform software, but most of them have enough as foundation if they can provision virtual machines in an easy manner (IaaS). If customer uses the CMP just for virtual machine provisioning, they are wasting their investment as the licensing model is usually CPU-based and the entire platform must be licensed. Operational teams love Nutanix for its simplicity. In my opinion it’s the Veeam or Rubrik of the hyper-convergence. Nutanix is pushing hard its “Invisible Infrastructure” approach and I must say they’re doing a great job. The “One Click Everything” functionalities are brilliant, making easy the life for operators. I’m stunned how powerful and friendly is the analytics module. It’s pretty fast returning results on a readable format. At the same time you can trigger operations from your search, it means you can remediate undesirable situations on a quick and easy manner. Nutanix makes vast use of machine learning to predict and anticipate the operations. Capacity planning through scenario based modeling. The differentiation of Nutanix’s offer about containers and its competitors is the support of stateful applications. The Acropolis Distributed Storage Fabric provides persistent storage support for containers through the Docker volume extension. How Nutanix manages the containers as virtual machines is not new, VMware already showed the same functionality almost a year ago. Exciting times ahead for Nutanix’s customers with all the new functionalities coming and the new ones in the roadmap. Nutanix has a big margin of improvement ahead and if they follow the same way like at the moment, I’m sure they will be in the market for a long time and will provide solutions for those customers that don’t want to move all their workloads to the public cloud. In the previous article, we walked through what kind of reasons made me to acquire an old Dell PowerEdge C6100 with 3 nodes as my “new” home lab. In this article, you will see the upgrades I did to get a All-Flash Home Lab. These upgrades allow us to run solutions like VMware VSAN, or Nutanix Community Edition. When I bought the C6100 I added to my configuration 3 x 300 GB SAS 3.5″ – 10K RPM drives because at the beginning I didn’t think around build an All-Flash VSAN. If you are thinking to buy a C6100 home lab and make it all-flash, I recommend you to do NOT buy the SAS drives. You can use these money for the USB memories. Like you know, ESXi can be installed in a SD/USB memory. The minimum space required to install ESXi is really low, so you can just buy a 8 GB memory per node. I bought 3 x SanDisk SDCZ33-008G-B35 8GB for £4.14 each one. I followed the recommendation of Vladan Seget (@vladan) in his article about to use VMware Workstation as tool to install ESXi in the USB drives. It worked like a charm. You have available two model of Samsung SM951 NVMe 128GB: MZVPV128HDGM (I got this) and MZHPV128HDGM. The first one is a bit cheaper, but the main difference between both is you can’t boot an OS with the first one. If you’re looking to boot from NVMe, you must buy the MZHPV128HDGM model with AHCI support. The Dell PowerEdge C6100 doesn’t include a M.2 socket, so you need a PCI adapter to install the NVMe. The C6100 has only one PCIe 2.0 slot and one Mezzanine slot as well. It means you have limited options to install additional components in your nodes. Anyway, with these two slots you will have enough for install a NVMe drive (PCIe slot) + 10 GbE or LSI® 2008 6Gb SAS (Mezzanine slot). Currently I’m just using the PCIe 2.0 slot for the NVMe, so in the future I can expand with a 10 GbE mezzanine card. The PCI adapter I bought is the 2 x Lycom DT-129, it supports PCIe 3.0 as well as 2.0. Note: you won’t get the max. performance of your NVMe drive since we’re using PCIe 2.0, but it will be enough to do functional tests. To build an all-flash VSAN platform, I needed to replace the 300 GB – SAS 3.5″ drives for SSD drives as “capacity” tier. I bought 2 x Samsung 850 EVO 500 GB. The drive is connected to the SATA ports available on the motherboard (ICH10) with a “Queue Length” equal to 31. Tip: If you’re looking to build an all-flash home lab, don’t make the same “mistake” than me, you don’t need to add any drive during the configuration of your Dell PowerEdge C6100 bundle, just add the caddies (at least 3). I added the SAS drives because I didn’t know if the SSD and USB drives would work fine. Now you know that, use this money to buy other components like the USB memories for ESXi installation. The Dell PowerEdge C6100 is available in two models, 12-bay of 3.5″ or 24-bay of 2.5″. The model I bought is the 12-bay of 3.5″, so I needed a converter from 2.5″ to 3.5″ for the SSD drives. I did a lot of research to see which converters worked properly since the disks are mounted in a caddy and inserted in a bay. If the SSD doesn’t fit as a 3.5″, you will face lot of connectivity issues with them. I bought two different converters to see which one was better. The “official” Dell converter (1 x Dell 9W8C4 Y004G) and the 2 x ICY Dock EZConvert Lite MB882SP-1S-3B. To be honest, even using the cheaper model of ICY Dock, it’s much better than the “official” Dell converter. The Dell converter is cheaper, but is really weak keeping the SSD drive on the air, and the holes don’t match properly. I highly recommend the ICY Dock EZConvert Lite MB882SP-1S-3B for any 3.5″ bay regardless of your server vendor. With these upgrades, you can have a really powerful home lab with a reduced investment. The VSAN ROBO installation with 2-nodes + Witness in Workstation works like a charm, even using the embedded dual-port NIC. Buy the components above for the third node and move from VSAN ROBO with 2-nodes + Witness in Workstation, to an all-flash VSAN platform with 3-nodes. If I need more resources like CPU & RAM, I can still add a second CPU in each node, and 48 GB of RAM more per node to get a total of 6 x Intel L5630 + 288 GB RAM (around £350 this upgrade). In case of storage, I can still add two drives more per node. When the price of 10 GbE switches drops, I can add the 10 GbE Mezzanines and increase the network performance and avoid any bottleneck with VSAN or any other SDS solution. Below you can see the Bill of Materials (BoM) of the upgrade. Also, you have available how much will be the next upgrade to enable the third node as part of the VSAN cluster. The C6100 came with MR-SAS-8704EM2 SAS/SATA controller on the PCIe slot. This controller is supported by VMware vSphere 6.0 U2, but NOT for VSAN. Anyway, vSphere sees the controller as an Avago (LSI) MegaRAID SAS 1078 Controller with a “Queue Depth” of 975. This SAS controller has a bandwidth of 3 Gb/s and 1-port. If you’re interested to buy one of those controllers, I’m selling mine (3) for £25 each one (£350 new). You can reach me with a comment or through Twitter.